I first met Jessica and Lewis when I was capturing Jessica's sister's wedding where she was the MOH. When we started talking about their engagement session, Jessica and Lewis told me they were envisioning a sunrise session. I'm not gonna lie - my heart sank a little bit. Sunrise in the summer months is around 5:30AM. Which means my alarm goes off at 4AM. I think the last time I got up at 4AM was... I can't even remember when! Probably about 2 years ago when my little Ellie was still waking up for night feedings :P In any case, the first five minutes were definitely painful, but once I got to Central Park, I was in awe. It is a completely different park at sunrise! Those first 45 minutes of light are so golden and dreamy, and the best part - the park is completely empty. 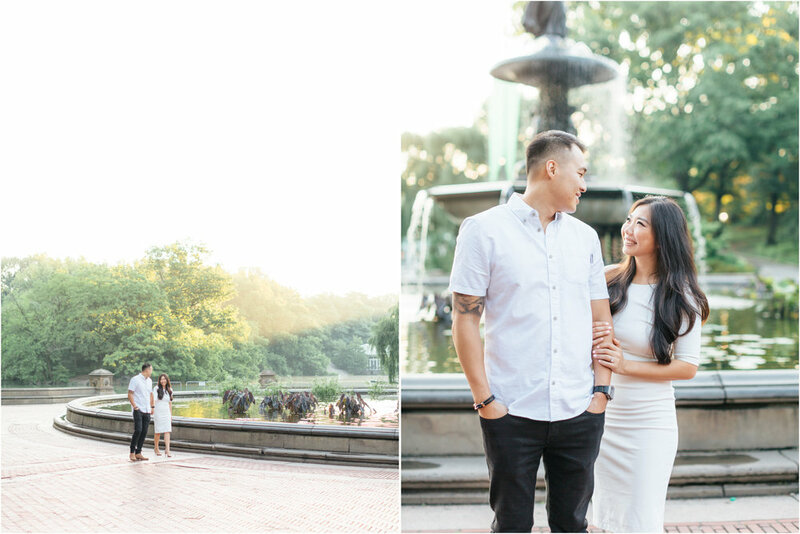 Iconic spots like the Bow Bridge and Bethesda Terrace and Fountain that are usually crawling with people are a blank canvas at sunrise. And these two were the perfect pair to step onto the scene and paint their story. 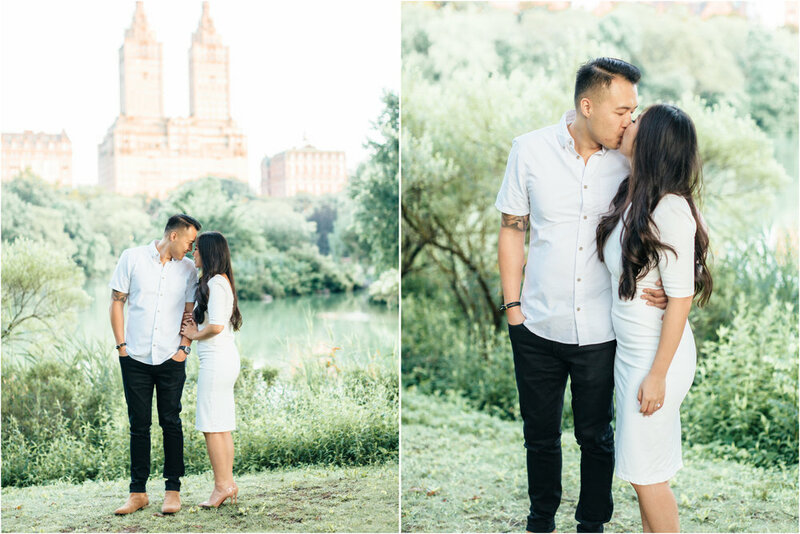 I loved these two rocking it during the morning hours so much that I scheduled my next engagement session for sunrise! It's that good. 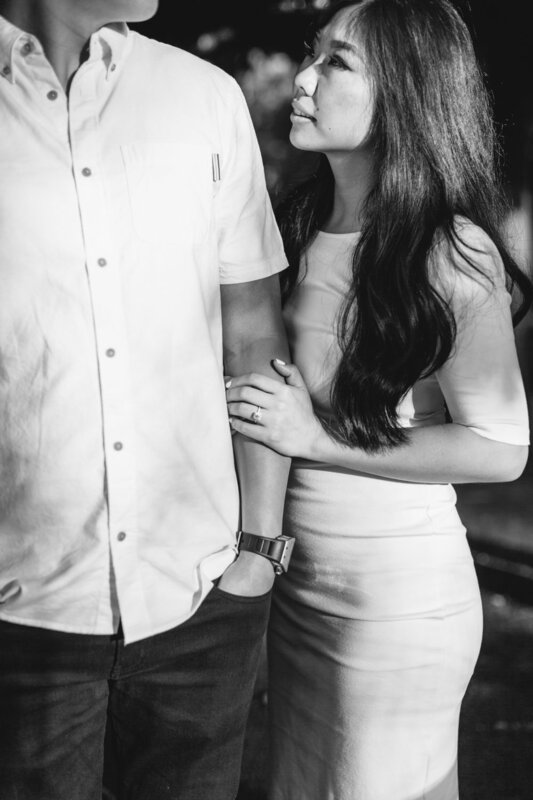 I'm SO excited to capture your big day in October! Cheers, J+L!